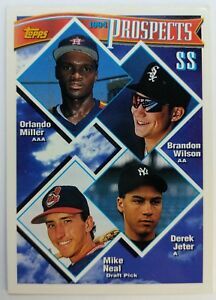 Details about DEREK JETER RC 1994 94 TOPPS BASEBALL PROSPECTS ROOKIE CARD #158 YANKEES SHARP! Very positive experience! Card looks great!! Very happy! Thank you!!! Awesome! Thank you for the quick delivery.